So the summer is here and you haven’t made plans for the vacation. Well, don't anxious already because we have got your back. Browse through our diverse list of top 7 summer destinations in India which is sure to help you make a wise decision. So that you enjoy your summer in a euphoric fashion. Also known as Kashmir of South India, Munnar is one of the most frequently visited places of Kerala during summer. Whether it’s the spectacle of rare Nilgiri Tahr at Eravikulam National Park, aroma of wide varieties of flowers and tea plantation at Floriculture Centre, surreal beauty of Lakkam Waterfalls or the absolute fun of hearing your voice resonate in picturesque view at the Echo Point; Munnar will never fail to make your summer a memorable one. The summer capital of Jammu and Kashmir, Srinagar needs no introduction. It is easily one of the most favourite summer destinations in India of tourists. 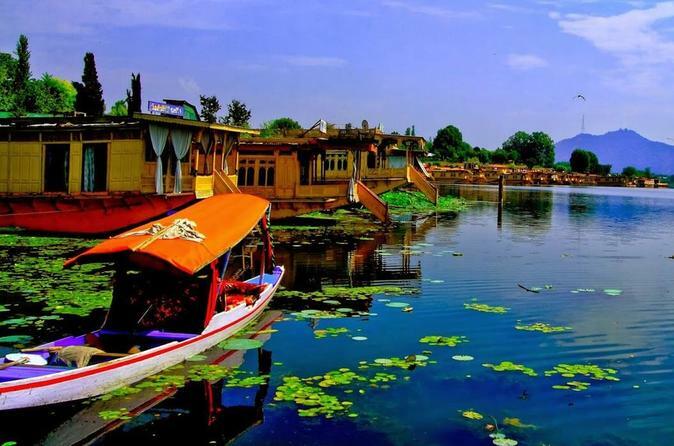 The World famous for its gardens, houseboats, handicrafts, and waterfronts, Srinagar has so much to offer. Have to buy souvenirs, just step into shikara and go shopping in the magnificent floating markets of Dal Lake. Longing to get into Mughal aura? Well just go and experience the exquisite 17th-century architecture that is the Shalimar, the Nishat, and the Chasme Shahi Baghs. After touring all day you might need some relaxation so just book a trip to Jama Masjid or Shankaracharya Mandir. And end your day on a peaceful note. 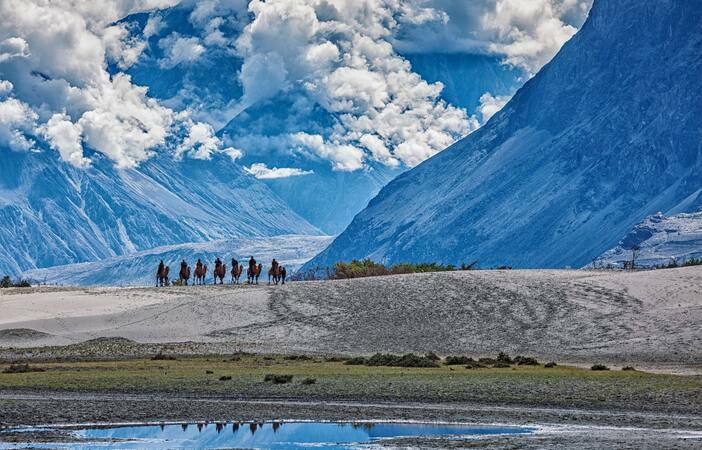 Want to have some adventure this summer, well Ladakh’s got your back. Go for rafting in the Zanskar river and experience one of the best river trips in the world. After rafting how about some gravity defying thrills. Yes, you read it right; equipped with anti-gravity effects, Magnetic Hills is only of its kind in India. Place your car at the marked point and it will go uphill without any assistance. Sounds like something to try, isn’t it? Apart from all these, Ladakh never falls short of landscaped vistas like Pangong Lake, Likir Gompa, Shanti Stupa among many others. 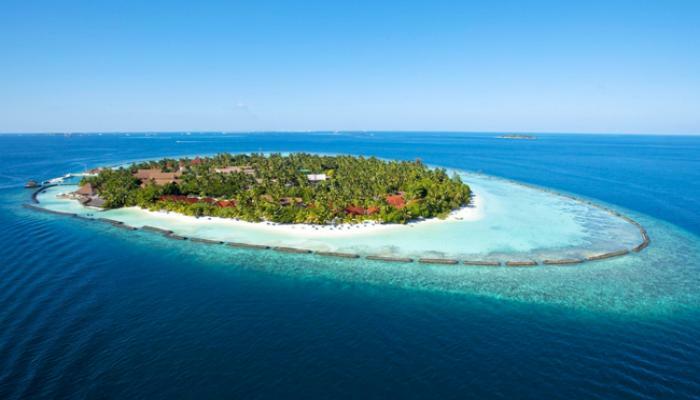 This summer how about booking a trip to an exotic island! And that to an island as serene as Andaman and Nicobar Islands. Awesome plan, isn't it? You can take a break and stroll in the Long Island or Wandoor Beach. And try out scuba diving in the world famous Havelock Island. Might as well visit the notorious Cellular Jail known to many as Kala Pani. And witness the only active volcano of South Asia, Barren Island volcano at its glory. Complementing all these are the equally exquisite tourist attractions like Baratang Island, Ross Island and Corbyn’s Cove. 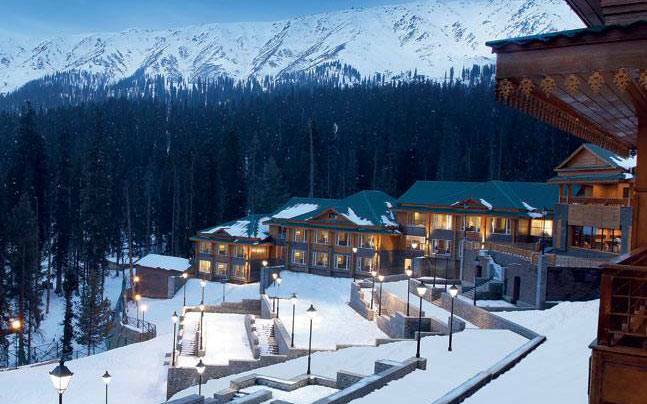 For most people looking to spend their summer in hill stations, Gulmarg is sure to be one of their favourites. The first thing to do here is to book your ride on the world’s second highest cable car, Gulmarg Gondola. It gives you the most extravagant view of the city possible. After finishing the ride, you can enjoy skiing and try your hands on the elite game of golf. Apart from all these, you can also try your luck at spotting snow leopard at Gulmarg Biosphere Reserve. And get enchanted by the 13th-century shrine Ziarat of Baba Reshi. 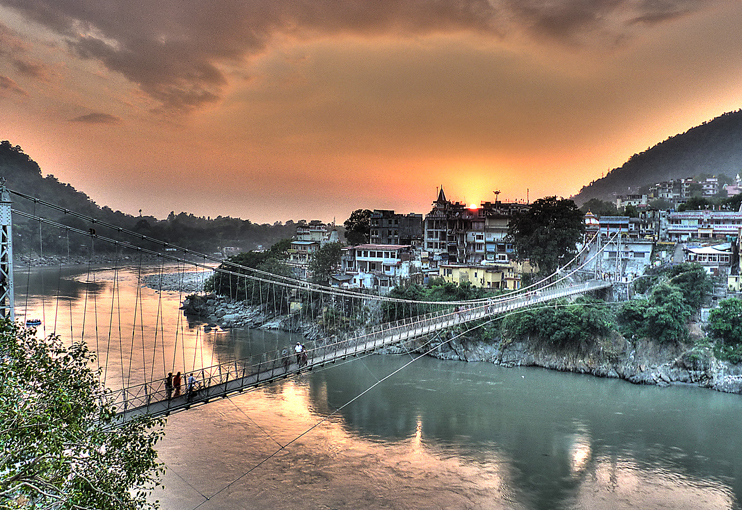 Adding to our list of Top 7 summer destinations in India is Rishikesh, also known as Gateway to Garhwal Himalayas. You can have a trip to the world famous Beatles Ashram (named after the famous music band) and experience the same transcendental meditation that the band practised back in 1968. You can also visit Neelkanth Mahadev Temple and seek spiritual enlightenment. But your trip to the “ Yoga Capital of the World” would be incomplete if you do not experience the power that yoga renders. To take care of that Rishikesh has Swarg Ashram and Parmarth Niketan especially for you to learn yoga. Situated in the heart of Himachal Pradesh, Manali will make sure to complete your summer with fun so diverse it will astound you. Solang Valley is one of the most picturesque sites here. And the best part of it is that you can enjoy adventure sports like Zorbing and Paragliding here. And when you are done with it, you can go trekking in the Hampta Pass where you can also camp at night. Manali is the ideal place for rafting enthusiasts all thanks to the mighty river Beas. Now before you leave Manali, make sure to visit the fascinating Tibetian Monasteries which will conclude your trip on a high note. If you like our summer destinations in India, please subscribe to our blog. Feel free to comment and share. And if you have any suggestions, do send them right away!